Gorgo Group, based out of Vineland, NJ, is a collection of companies providing pallets, packaging, logistics services and landscape mulch throughout New Jersey, Pennsylvania, Delaware and Maryland. Gorgo Pallet is the largest pallet recycler in the Philadelphia/Baltimore region. Gorgo services most of the fortune 500 companies in its service area from retail and foodservice distribution centers to manufacturers, importers and the largest US Ecommerce companies. Gorgo Packaging was formed to further service the needs of Gorgos’ pallet customers. While talking with purchasers Gorgo identified a need for a reliable and trustworthy packaging supplier. Gorgo Packaging aligned itself with the largest and best packaging manufacturers in the industry. Gorgo Logistics was initially formed to service Gorgo Pallets trucking needs. It has since grown to a fleet of 15 power units and over 200 trailers and services its own outside freight customers. While servicing deliveries and pickups for Gorgo Pallet; Gorgo Logistics fills the empty lanes with outside freight opportunities offering very competitive rates for regional customers. 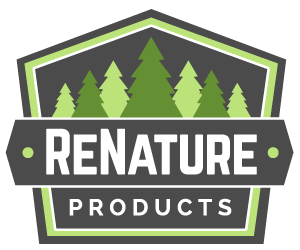 IN 2016, RENATURE PRODUCTS WAS FORMED TO PRODUCE AND SELL LANDSCAPE MULCH WITH GORGO’S WOOD WASTE AS WELL AS OTHER ORGANIC WOOD MATERIAL.